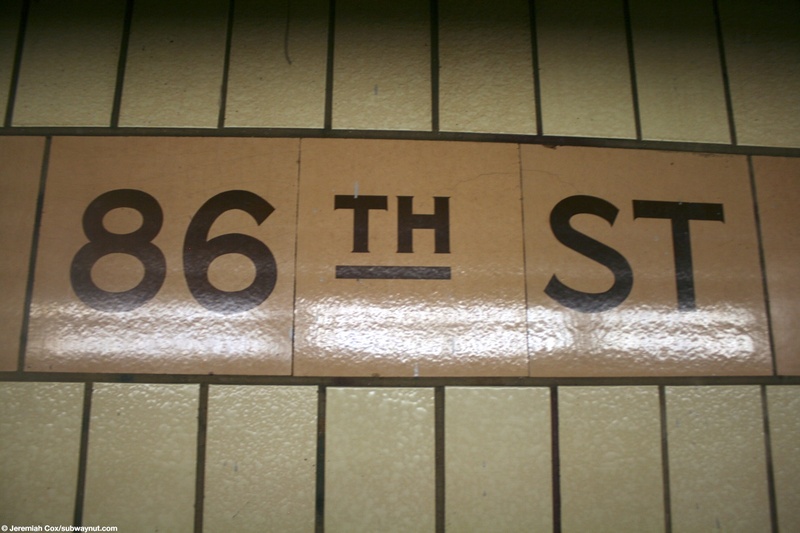 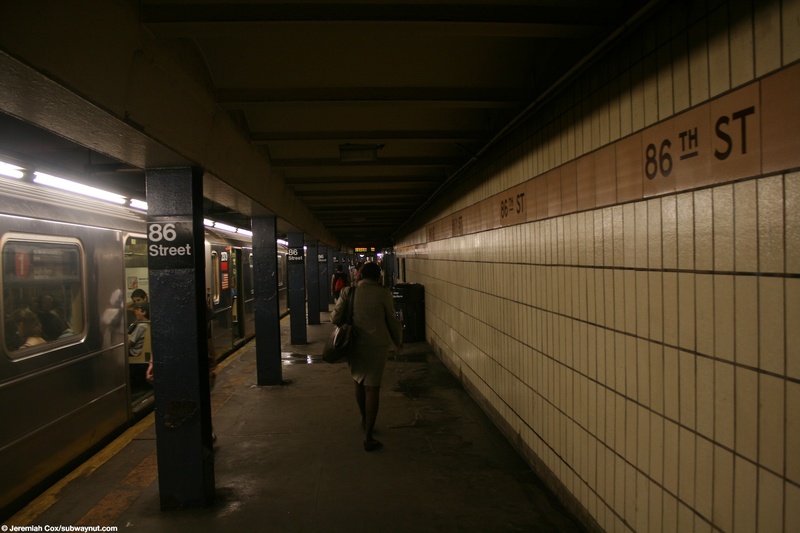 86 Street is an opening day on the IRT local station with two side platforms and on platform fare control areas, with no free crossover or under. 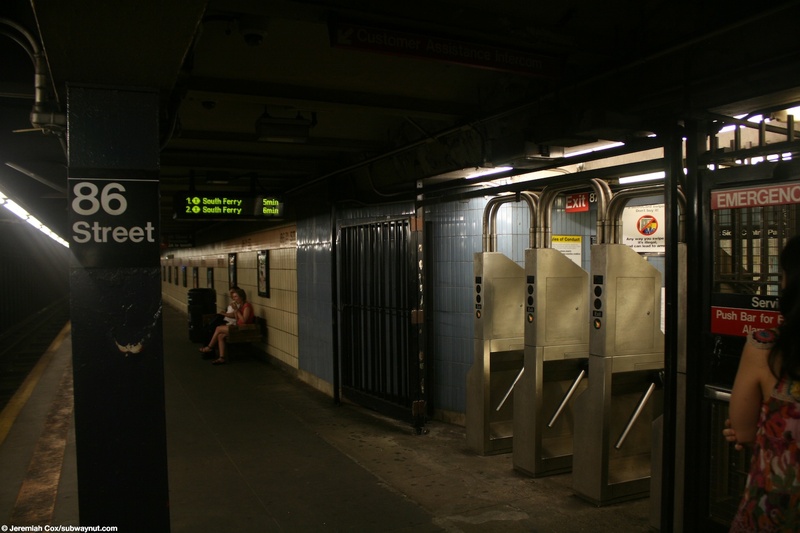 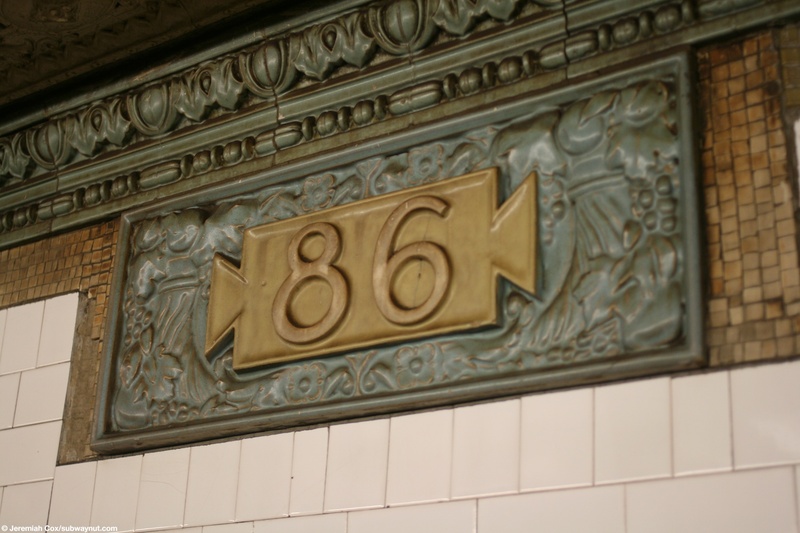 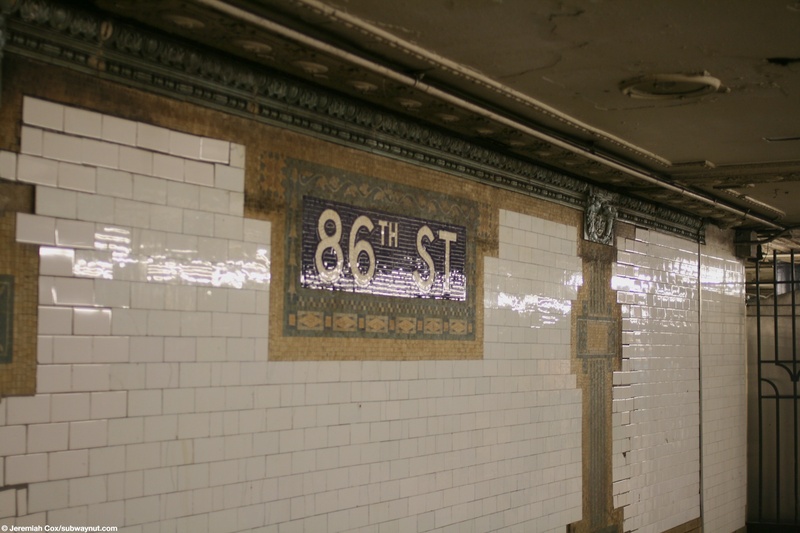 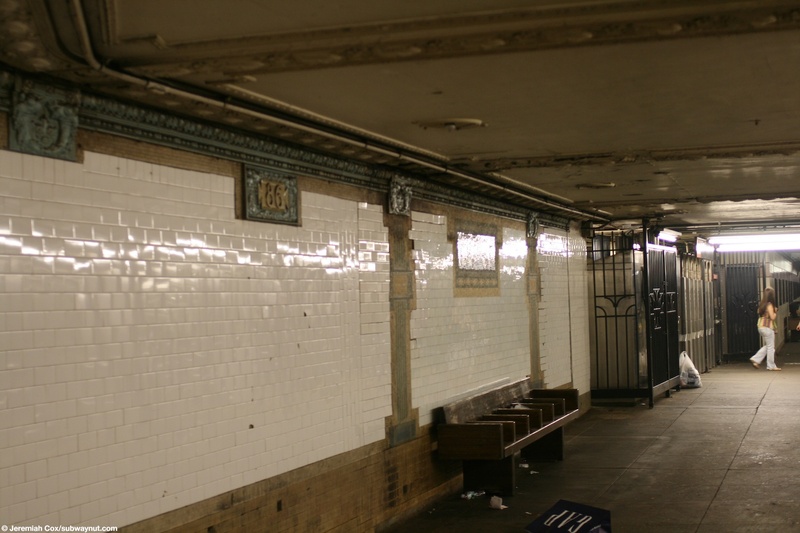 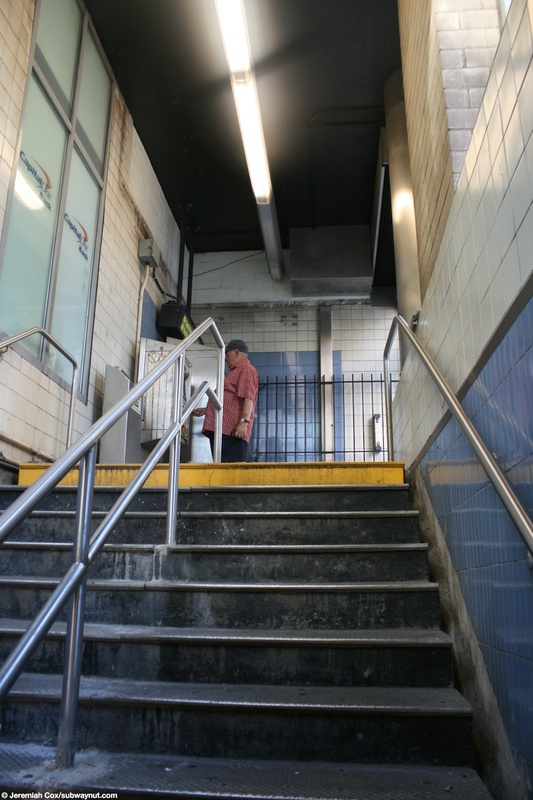 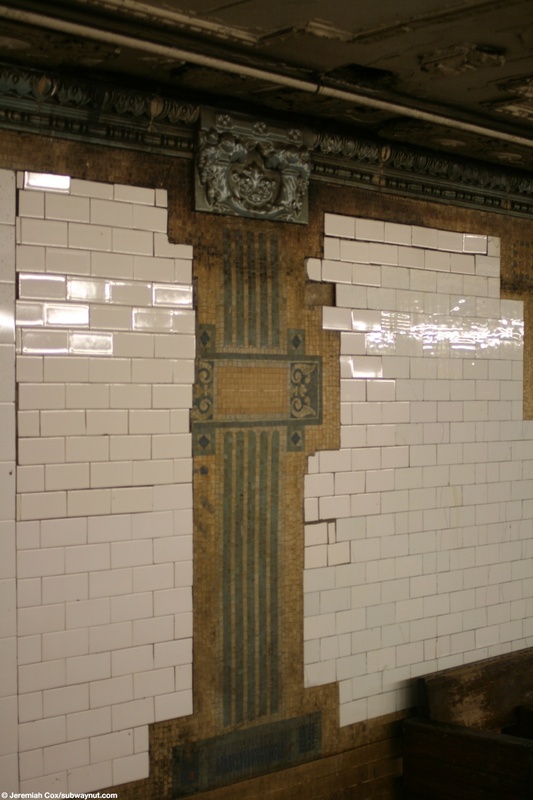 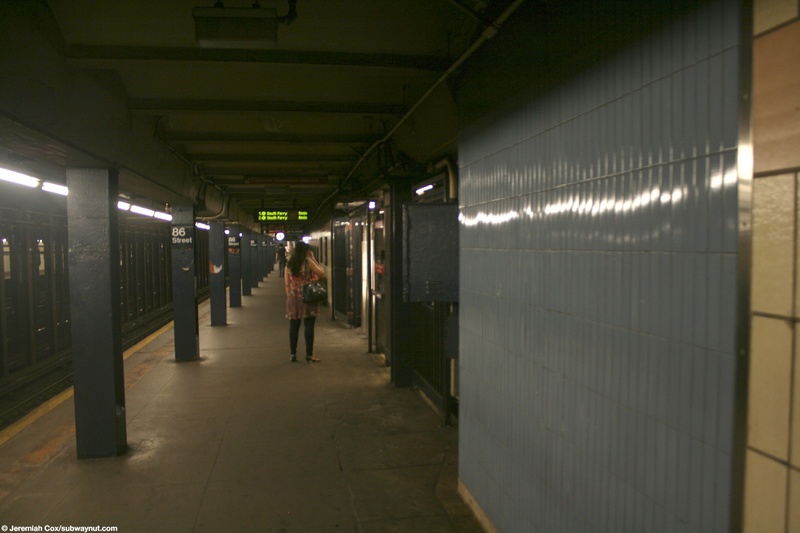 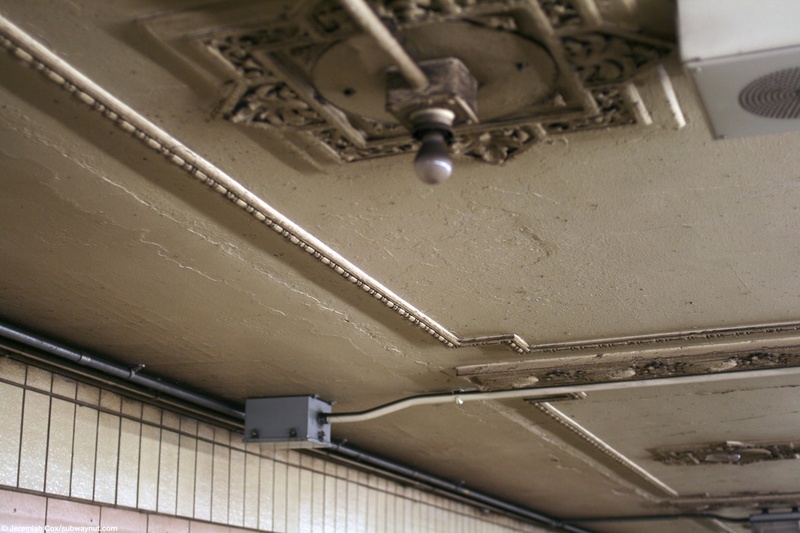 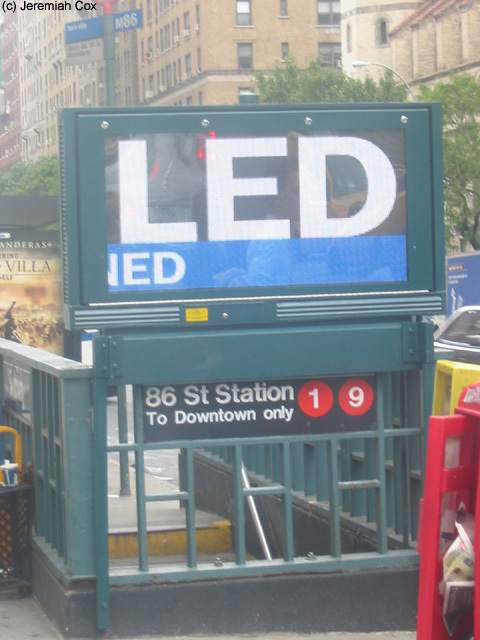 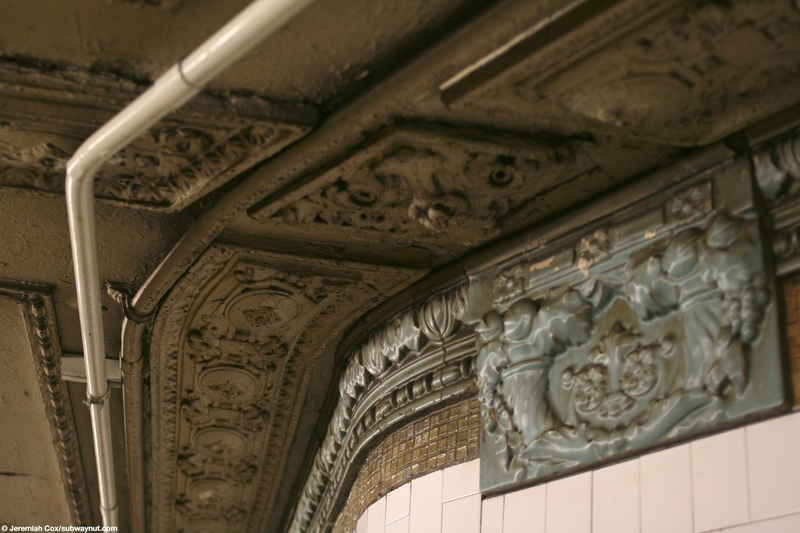 The stop received a 1980s renovation that kept the original mosaic and terra-cotta wall reliefs consisting of a trim of blue with some 86 cornucopias that look very similar to those that remain at 79 Street. 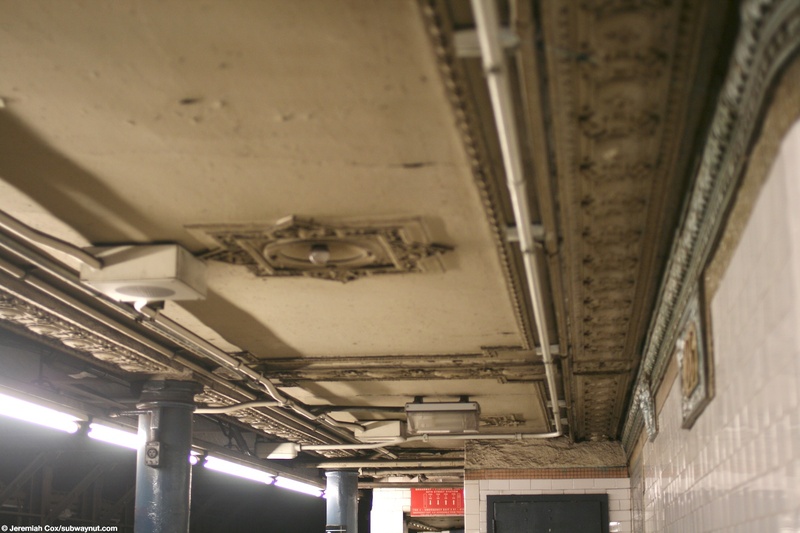 There are also a few Men and Women reliefed signs, and a lot of the decoration molding on the ceiling remains intact and more decorative fixtures for incandescent light bulbs (with a few bulbs still in the ceiling). 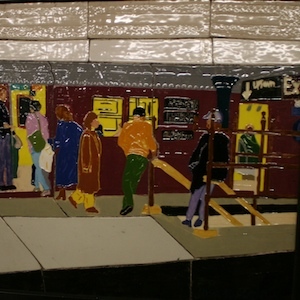 The northern extension half of the station has the generic 1950s pink trimline with 86th St written in it at various intervals (96th, 66th, and 59th used to all have this tiling, 79th still does) and cream colored tiles, but there is a community mural project in this area of West Side scenes. 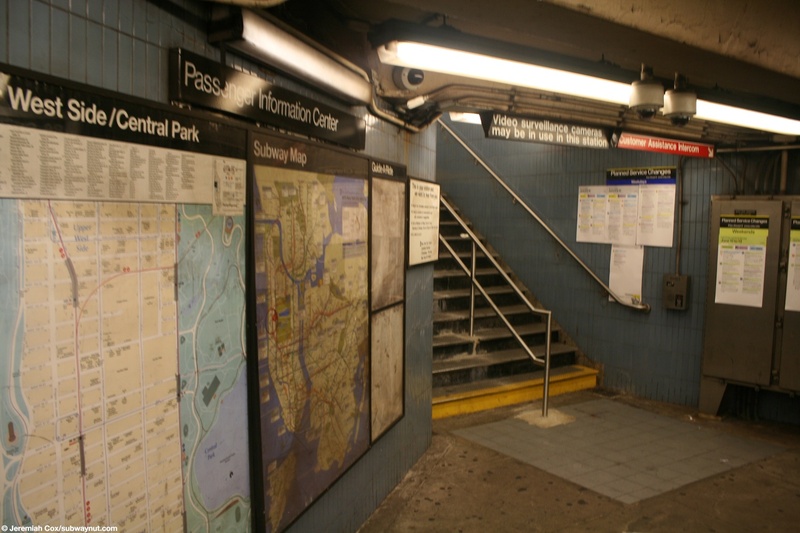 For access the main fare control areas still have turnstiles (with the downside side having the still open token booth, uptowns is abandoned, but as of June 2011 yet to be removed like so many others in the system since they became permanently unstaffed, by March 2013 it's gone leaving the odd, empty space) and each has a streetstair out to both sides of 86 Street on its respective side of Broadway. 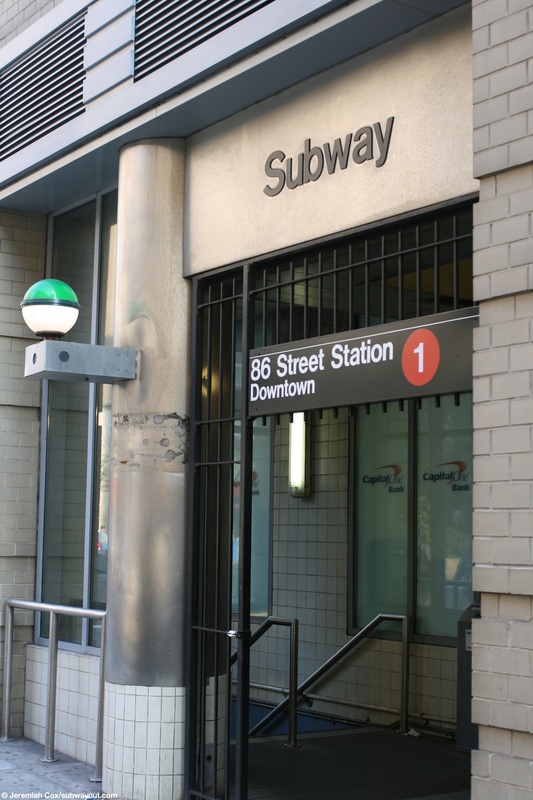 Towards the northern end of the downtown platform there is also a newer entrance from within a building on the SW corner of 87 Street (that is one of the sweetheart deal entrances) it leads down to a tiny fare control area with three turnstiles, the area at platform level is so tiny that the MVMs for this entrance are located at the upper landing clearly visibe and basically on the street. 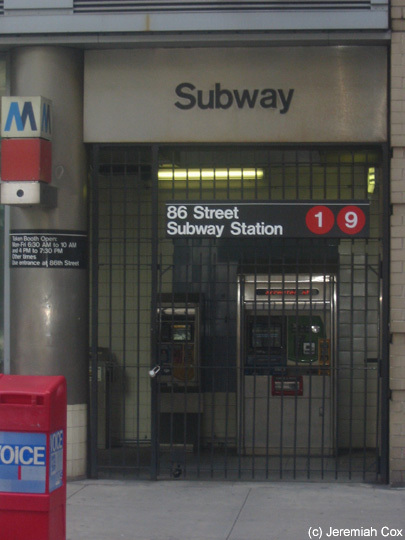 This entrance used to be open during rush hours only (through the mid-2000s, see photo) but now is still staffed during rush hours amazingly enough but left unstaffed and open full time.